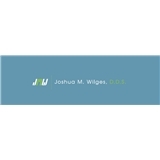 Joshua M. Wilges, DDS, PC (New York) - Book Appointment Online! We are a growing independent dental practice located in the heart of midtown Manhattan. We understand that your time is valuable and we schedule ample time for each appointment so that wait times are brief and you should never feel rushed. Every patient receives honest, straight forward dental health solutions, and we use state-of-the-art equipment and technology to ensure your visit is as comfortable as possible. Designed as an escape for the busy New Yorker, our office provides the highest quality of care in a relaxed setting. I was welcomed right away in clean dental office. Bhavika is caring and focused. She gave me good tips afterward. I'll come back. Beautiful and clean office. Everyone was courteous and pleasant. No wait time.